Select the Store Settings button to get setup to receive payments. 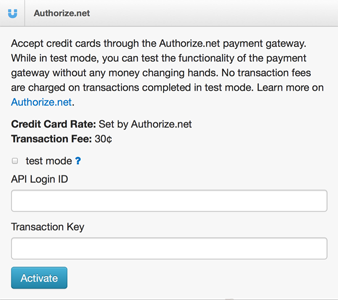 You can choose from Authorize.net, Stripe to process your transactions. 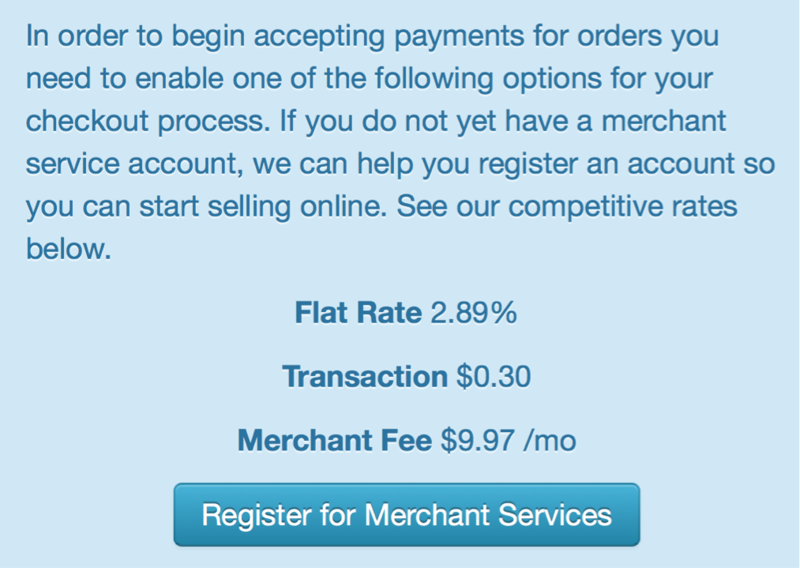 We also offer the ability for users to register with Merchant Services directly on our website. Select the Activate button when you have filled out the proper information. To setup with Authorize.net, select the Authorize.net button. 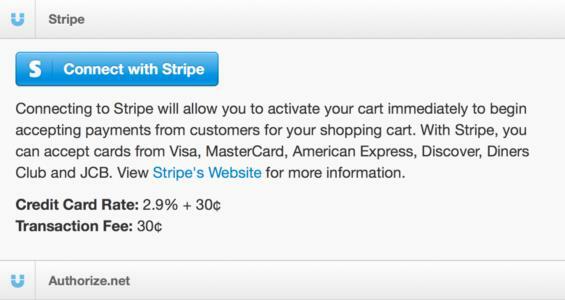 To setup with Stripe, select the Stripe button. Select the Connect with Stripe button to be redirected. To update the store address information, fill out your address information. Be sure to hit SAVE. 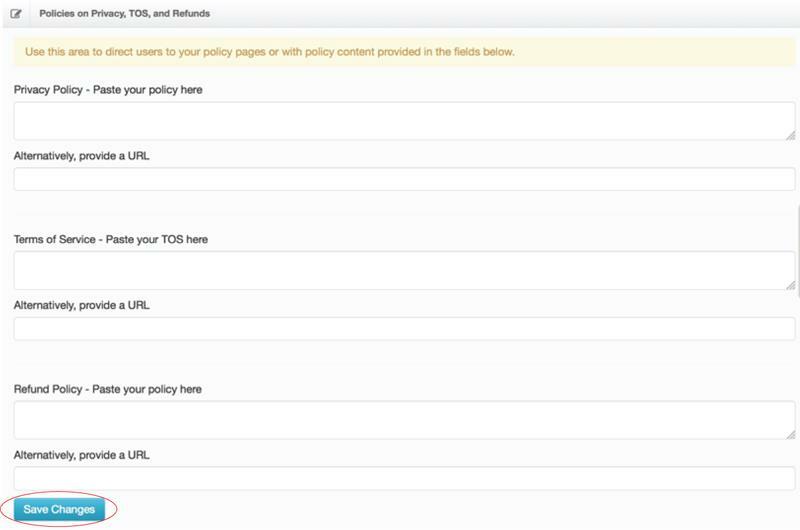 To Add Policies you can add them under the store settings. When you are done, be sure to hit Save Changes. You can add Product Types under this section. Type in the product you’d like to include, and select the Add button.